Oldie Towers is in mourning for Sir Roger Bannister, the first man to run a mile in under four minutes, in 1954. He was also an eminent neurologist, Master of Pembroke College, Oxford, and one of our Oldies of the Year in 2015. When he graced Oldie Towers with his presence, he charmed us all with his exceptional modesty, charm and wit. In his Oldie of the Year speech, he recalled running in the fathers’ race at his children’s school in the 1960s. Sir Roger didn’t bother putting on running clothes; he remembered wearing a buttoned-up waistcoat. When it came to the race, all the other fathers were obsessed with beating the great man. Sir Roger remembers it as literally a close-run thing; he won, he said, by the buttons on his waistcoat. Jim White recalls the great man. 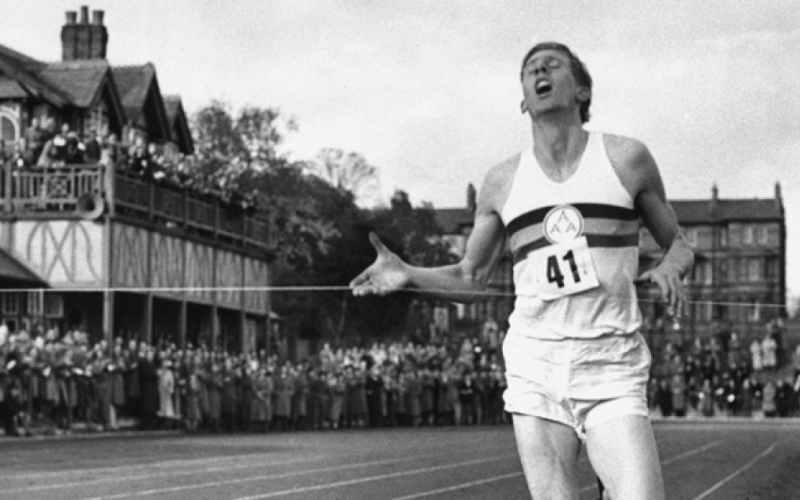 Roger Bannister was one of the last glorious amateurs to make their mark in British sport. On 6th May 1954, when he attempted to become the first man in history to run a mile in less than four minutes, he started the day finishing a shift at St Mary’s Hospital in London, where he worked as a junior doctor. He then caught the train to Oxford. Which, sixty years on, would be a risky thing to do if he wanted to arrive on time. These days he could run faster than the Great Western service out of Paddington. And he’s 85. With his spikes sharpened in the hospital lab, he then tore round the Iffley Road running track, with the distinguished pair of Chris Chataway and Chris Brasher providing the pacing. Such was the significance of the event and the worldwide fascination surrounding this tilt at a mark that had long been deemed impossible that it was broadcast live on BBC radio, commentated on by Harold Abrahams, the Chariots of Fire hero of the 1924 Olympics. When the race was over and Bannister had won, the timekeeper – a certain Norris McWhirter – showed an ability with a delayed reveal that couldn’t be bettered in the final of The X Factor. The cheers of the 3,000-strong crowd who had gathered round the university track to witness the moment drowned out the rest of McWhirter’s announcement of the historic 3 minute 59.4 second record. Bannister then packed up his stuff and got the train back to London ready for the next day’s work. And as far as his athletic career went, that was it.He never won an Olympic medal, never again challenged the world best. Indeed, he only held the record for some 46 days before it was bettered again. Not that he worried. He had made his mark on history and could now concentrate on his main priority in life: medicine. He would go on to become a neurologist of some distinction and Master of Pembroke College, Oxford. Indeed, when asked on the 50th anniversary of his run whether the record was the greatest achievement of his life, he replied that he was actually rather proud of his work researching into responses of the nervous system. 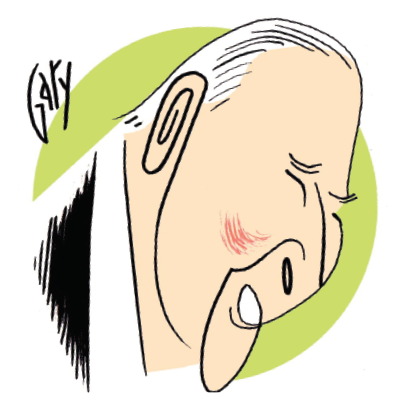 Latterly, in his retirement, as a familiar figure around Oxford, chatty and approachable at drinks parties, he has always been extraordinarily modest about the record and about his ability. He dismisses the notion that grew up over the years that the four-minute mile was believed by many at the time a physical impossibility. Its potency and importance, he reckons, were more to do with the fact it was a nice round number, and the previous record had stood for so long because of the intervention of the war. Never for a minute did anyone associated with the attempt really believe that he would die trying to run that fast for that long. Certainly he didn’t believe it; whatever the look of utter exhaustion on his face at the conclusion of the race, he never thought he had put himself in physiological danger. Nevertheless, there was something magnificently improbable about his achievement. These days, records are broken by athletes who devote their entire lives to training and diet and preparation. Bannister did it in between shifts helping to improve the health of others. That is the mark of a proper sporting hero. To listen to a recording of our 2015 Oldie of the Year Awards and to hear his acceptance speech, click here. The other winners at the 2015 awards were Michael Buerk (Jungle Survivor of the Year), Lord Falconer (Slimmer of the Year), Ian Lavender (Stupid Boy of the Year) and Bridget Riley (Stripe Artist of the Year). Ken Dodd was announced as our Oldie of the Year.